Nitmiluk Heli Flights depart from the helipad located 3km from the Nitmiluk Centre within the spectacular Nitmiluk National Park. There are a variety of flights to choose from and all offer magnificent views from the air, with ‘photo’ or ‘video’ opportunities of Nitmiluk Gorge, the Arnhem Land escarpment and local wildlife. Whether it’s an intense 3 gorge buzz, a breathtaking 8 gorge flight or an aerial journey over all 13 gorges, there’s a scenic flight to suit everyone’s desires and budget. 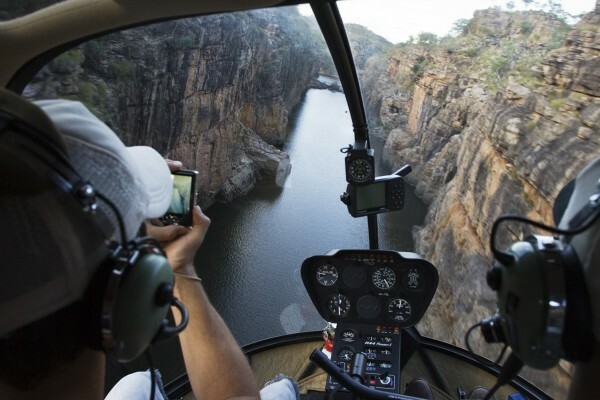 A scenic flight will give you a great perspective of Nitmiluk Gorge system with spectacular views from our state of the art helicopters. ‘UPGRADE’ on an 8 or 13 gorge flight and land on the rock escarpments at a remote site for a unique photo opportunity. PLEASE NOTE: A minimum of 2, maximum of 3 passengers are required for each flight departure. We will endeavor to accommodate single passenger’s bookings. Weight restrictions apply per seat and per helicopter. Flights run daily from 08:30 to 17:00 all year, subject to weather conditions. 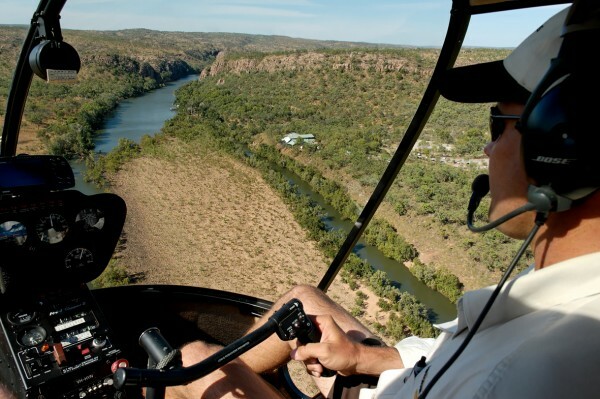 This option extends your tour a further 10 minutes and includes a remote landing for a unique photo opportunity amongst the top ridge rocky country of the Nitmiluk Gorge. There is no road access to this spectacular and secluded location and with not another soul in sight you will feel a deep connection to the natural wonder that is Nitmiluk! Ensure you bring along a camera, sunscreen & sensible shoes. This remote landing upgrade is available on the 8 and 13 gorge flights only.